PUNE: The Pune airport will see two new connections under the phase 3 of the Udan scheme, airport officials said after the announcement from the ministry of civil aviation on January 25. Pune airport director Ajay Kumar said two airlines, Alliance Air, a subsidiary of Air India, and SpiceJet, will start direct operations from Pune to Belagavi in Karnataka and Bhavnagar in Gujarat soon. 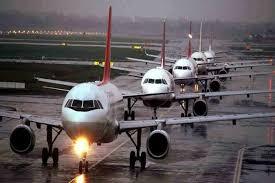 The senior official said that a different airline will be re-starting the Pune-Nashik flight. “The schedule for the two flights to Belagavi and Bhavnagar will be finalized soon. The regional connectivity scheme has been a game changer providing many unserved and under-served airports and airstrips across the country with air connectivity at reasonable and affordable fare structure,” the director said. The second phase of Udan had seen the Pune airport getting a new flight to Nashik which was to be operated by Air Deccan, in addition to flights to Huballi and to Allahabad. “The Pune-Nashik flight operated for a while but was suspended. The flight will start again soon and a different airliner will operate it. The details will be shared once matters are finalized. The flight to Huballi was to be operated by Ghodawat Group and IndiGo” the director added. Air Deccan had won four flights from Maharashtra under Udan. These included flights between Jalgaon-Mumbai, Mumbai-Jalgaon, Pune-Nashik and Nashik-Pune. However, citing operational reasons, all the flights were suspended by the airline last October. With two airlines including Air Deccan and Air Odisha performing badly in the first two phases of Udan, the centre had decided not to open their financial bids for the phase 3. Minister of state for civil aviation Jayant Sinha recently said that with five proposals from Air Odisha and four from Air Deccan in Udan-I, six proposals or connections were cancelled due to poor performance. The six networks consisted of 16 Air Deccan flights and 40 of Air Odisha. The Pune airport is struggling to provide morning slots for new flights. Sources said the slots for flights under Udan was expected to be during the day time.